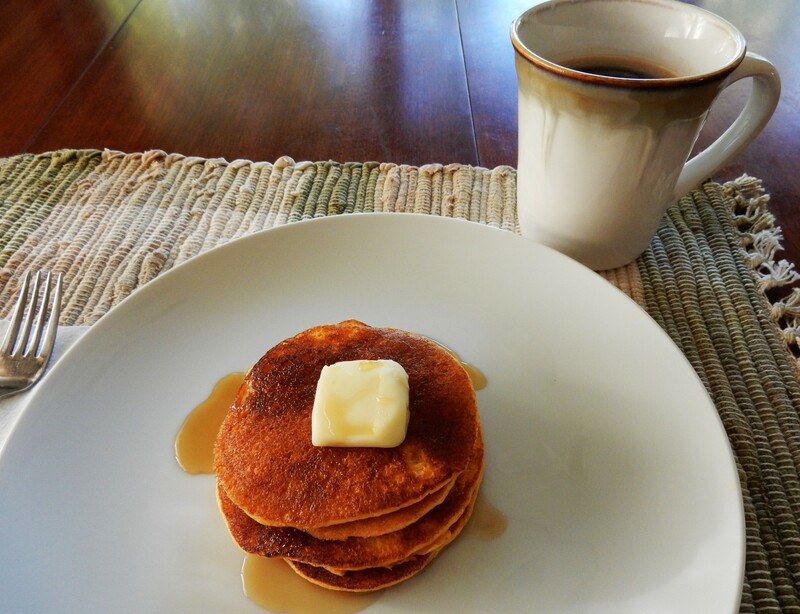 Posted on September 21, 2015 September 21, 2015 by SherylPosted in Food, recipesTagged pancakes, sweet potatoes. Previous Previous post: Is Your Cooking in a Rut? Oh, they look and sound delicious; a perfect autumn breakfast! They are a lovely fall food. I love sweet potato, and often bake more than I need for a meal in order to have extra on hand. This will be a perfect way to use some. I’ll bet they’d freeze beautifully once made, too. I’ll find out, that’s for sure. That’s a good idea. I never thought about freezing left-over pancakes. It works beautifully — just like frozen pancakes and waffles in the store, only better! I have yet to find a good one! Let me know what you find. That sounds delicious. I am surprised that waffles were popular one hundred years ago. Back when I was posting my grandmother’s diary, there actually was a diary entry where she mentioned eating waffles at a friend’s house. “The whole family was invited out for dinner today. We all went except Pa. It was up at Tweet’s place. We had something that I always had a curiosity to know what they tasted like. It was waffles.” (December 6, 1913). That post includes a picture that a reader sent me of an old-fashioned waffle iron that was used with a wood stove. Great photo of the old waffle maker! I love sweet potatoes! I would eat them with butter,and forget the syrup. I’m not fond of pancake syrup,and maple syrup isn’t handy here in the south. Wonder what brown sugar and cinnamon sprinkled on top would taste like? Brown sugar and cinnamon sounds good to me. I love cinnamon and sugar on toast–and think that it would work well with pancakes. I’ve just started to realize in recent years what a versatile food sweet potatoes are. Thanks for sharing these recipes. I’m going to have to try them. The mushroom & sweet potato one looks particularly intriguing. I’m on my way over! So yummy! People did eat well back then–though it had to have been much more difficult to prepare meals using wood/coal stoves. Definitely have to give this a go, Sheryl. Looks delicious. I’m honored that you think this recipe is worthy of trying for the WordPress Cooking Challenge. I look forward to reading the post. An old post, but I just saw this. YUM! I love anything with sweet potatoes. I need to try this one! I’d almost forgotten about this recipe. I’ll have to make it again sometime soon. My recipe is printed out and sitting in my printer tray, ready to go! Now just to get to the store.